After our day-hike at Mt. Maculot Rockies, the group agreed on going to Tagaytay for food tripping. So from Cuenca, we took a jeepney going to Lemery. From Lemery, we were supposed to take a bus or van going to Tagaytay but the driver and the conductor of the jeepney told us that there are no more buses or vans going to Tagaytay at that hour, it was almost 7PM then I think. So instead of alighting from the jeepney to look for a ride to Tagaytay, we decided to go back to Lipa City (the driver told us that they'll head back to Lipa instead of going to the jeepney terminal). At around 8PM, we reached Lipa City. Tired and hungry from the hiking, we looked for a place to eat instead of immediately boarding the bus bound for Manila. While looking for the best place to eat, some locals heard our conversation and suggested that we try Renfel Food Center; they said Renfel is the best lomihan (food store that sells lomi) in the area. Renfel Food Center is located just at the back of the Lipa City Bus Terminal, along with several other eateries offering affordable alternatives for commuters. Anyway, lomi is a noodle (miki noodles) dish cooked in caldo (a thick broth) with kikiam, liver slices, and meatballs garnished with crushed chicharon on top. In some areas of Batangas, lomi is garnished with slices of hard-boiled egg instead of chicharon. It is usually served with calamansi, soy sauce and chili pepper for a tangy taste. tama! masarap nga areng aming lomi...hehe! ay muka ngang masarap at ma-cholesterol eh... lol yum! ay tunay ka kabayan! pagkakasarap niyan.. paborito ko yan eh..pag ako'y nauwi ng batangas hindi pwedeng hindi ako kakain ng lomi! 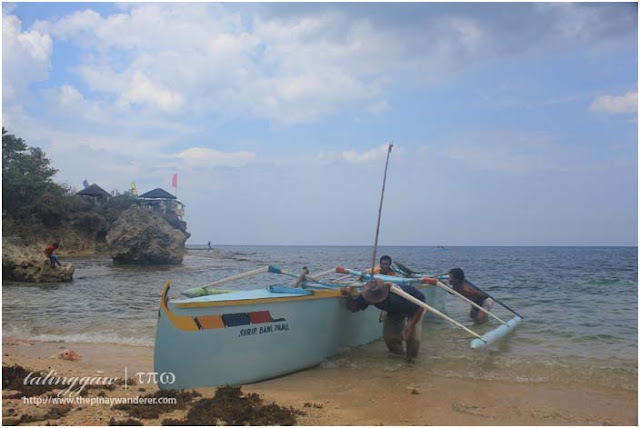 Ala eh kasarap naman ni-re :) lalo na sa malamig na panahon. 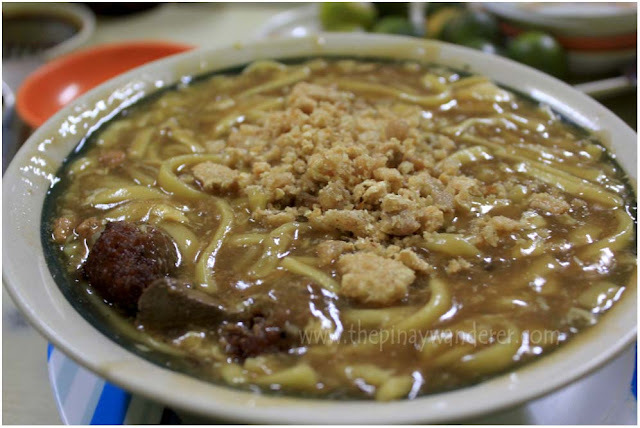 Gusto ko ng lomi minus the liver plus the chicharon! Sarap! Wow love na love ko yang bulalo, lomi or anything na may soup! pareho tayo sis, anything na may soup at mainit, sarap! Ay gusto ko yan may chicharon on top!